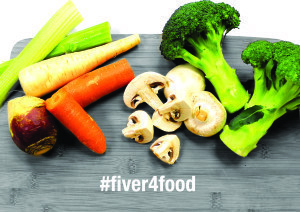 We’re still buzzing from the success of our Fiver4Food appeal – we completely smashed our target! We set out with a goal of raising $10,000 to help support our Lanyon Food Hub for another six months. As the Canberra winter closes in, the need for emergency food relief for vulnerable families is increasingly critical. At our Food Hub, we provide a pantry-like system where young people and their families can access free, nutritious food in times of need. This financial year, our funding for the Food Hub was cut by 60 per cent, making it increasingly difficult for us to continue to support our clients. But with your support, we raised a huge $13,470 with the Fiver4Food appeal, which will help us continue to support vulnerable members of our community this year! Thank you to everyone who donated, purchased a Shop & Share grocery basket, shared the campaign, hosted a Winter Warmer and spread the word – we couldn’t have done it without you! From all of us at YWCA Canberra, we appreciate and acknowledge your generosity.